All of our doctors are focused on your vision and health of your eyes. They are all certified in Ocular Therapeutics for medicated treatment of certain eye disorders. They have modern state of the art instrumentation and products available to give you the best vision now and to maintain it for your future. Dr. Jackie Albrecht examines her patients with the thoroughness and care that she does her own family. In 1990, she graduated with an Honours Bachelor of Science and a Doctor of Optometry degree. She was awarded the Percy Hermant Proficiency Prize, Allergan Contact Lens Award and Academic Excellence in Ocular Pharmacology Award. She has been co-managing laser refractive surgery since 2004. When she was 21 years of age, she required eye surgery to prevent a retinal detachment and had had absolutely no symptoms. The need for surgery was detected at a routine eye examination indicating the importance of having your eyes examined regularly. Dr. Albrecht enjoys seeing patients of all ages for their full eye examinations with special interest in children’s eye exams, treating dry eye disease and fitting bifocal contact lenses. Jackie enjoys camping, skiing and gardening. In 2017, she tried wake boarding for the first time. She was the optometric chair for Perth-Huron United Way from 2011-2016. Dr. John Hohner graduated from the School of Optometry, University of Waterloo in June 1977. He has practices in Mitchell and Stratford. He is interested in all aspects of Optometry… children, adults and seniors. Contact lenses and Laser Vision Correction are a specialty. He is part of Vosh On (Volunteer Optometric Sevices to Humanity) and visits Guatemala annually to perform vision testing, prescribing spectacles and arranging surgery for the Guatemalan people. Dr Hohner is a member of The Rotary Club of Mitchell and The Ontario and Canadian Association of Optometrists. Dr. Hohner is married and has 4 children. Dr. Alana Vermeersch graduated from the School of Optometry at the University of Waterloo in 2011. She also received her Honours Bachelor of Science degree from the University of Waterloo in 2007. She grew up in Delhi, Ontario –a small farming community. Dr. Vermeersch loves seeing patients of all ages, and is interested in all components of primary care optometry especially low vision assessment and rehabilitation. During her optometric training, she completed an ocular disease rotation in Mobile, Alabama, where she gained experience in ocular disease management and in the pre- and post-operative care of cataract and laser surgery patients. Dr. Vermeersch enjoys interior design, travelling, spending time with her family, and has just welcomed her second son, Isaac. Dr. Devon Huxtable is originally from Kelowna, BC. He graduated with distinction from the Universtiy of Victoria with a Bachelor of Science in 2007. He then graduated from the School of Optometry at the University of Waterloo in 2011. Dr. Huxtable is interested in every aspect of optometric care. He enjoys performing full eye examinations on people of all ages. He has a special interest in the co-management of cataract and refractive surgery. He is also interested in fitting contact lenses and is certified in vision shaping treatment. Dr. Huxtable enjoys travelling, cooking, and all water sports. He is thrilled to be a part of Stratford Family Eyecare! 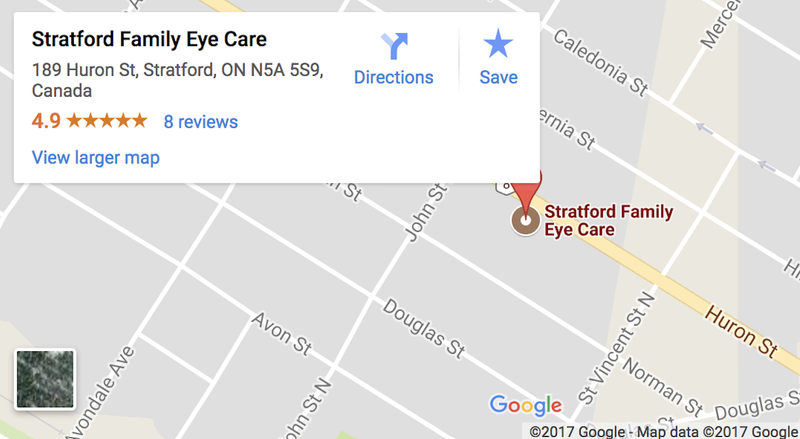 Dr. Watson has helped patients in Stratford and the surrounding area with their eye care needs since 1991. He graduated from the University of Waterloo with a Bachelor of Arts (Honours Psychology) degree in 1985 and a Doctor of Optometry degree in 1991. In 2009, Dr. Watson completed intensive study at the University of Waterloo followed by practical training at Northeastern State University in Tulsa, Oklahoma in ocular pathology and pharmacology. Dr. Watson enjoys seeing patients of all ages and has an interest in cataract and refractive surgery comanagement. When not at the office Dr. Watson likes to spend time with his wife Trudy and their two children Emily and Ben. Dr. Patricia Lambros graduated with honours from the University of Waterloo School of Optometry in 2015. Prior to that, Dr. Lambros received her honours degree in Science and Business from the University of Waterloo. Originally from Mississauga, Ontario, Dr. Lambros is excited to be providing eye care in the Stratford community. As a student, Dr. Lambros completed a clinical internship in Baltimore, Maryland with a focus on diagnosis and management of ocular diseases such as glaucoma, macular degeneration and diabetes. She also participated in mission trips to Mexico and Nicaragua providing eye care to those less fortunate. Dr. Lambros is extremely passionate about providing the best care to patients and has special interests in pediatrics, contact lenses and ocular disease management.In her spare time, Dr. Lambros enjoys cooking, traveling, and spending time with her family and friends. 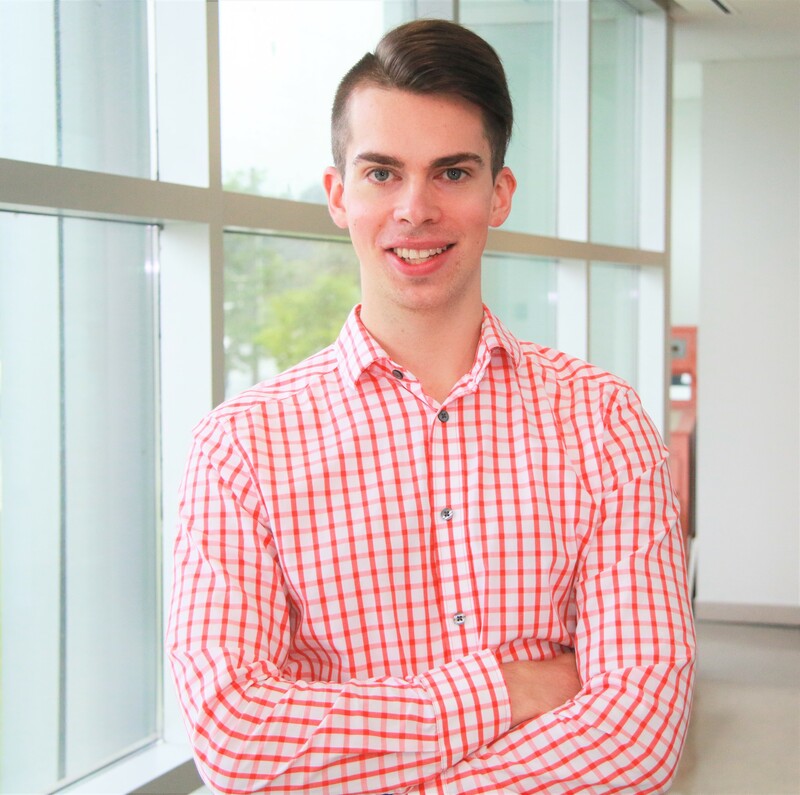 Dr. Alex Hynes graduated with a Honours Bachelors of Science from McMaster University in 2013. He then obtained his Doctor of Optometry degree from the University of Waterloo graduating with honours in 2017. As an optometry intern Dr. Hynes completed a rotation through an ophthalmology clinic in Newmarket Ontario and provided eye care on two mission trips (to Mexico and Honduras). After graduating he completed a one-year accredited optometric residency program at the University of Waterloo in ocular disease and glaucoma. During this time he developed a passion for the management of dry eye, glaucoma, retinal diseases and ocular emergencies and had the opportunity to work alongside family medicine and ophthalmology. Dr. Hynes also currently works as a clinical instructor at the University of Waterloo School of Optometry and as an optometrist in a comprehensive ophthalmology clinic. Dr. Hynes is a member of the Canadian Association of Optometrists, Ontario Association of Optometrists, Ontario College of Optometrists and the American Academy of Optometry. Growing up as a competitive soccer player at the Ontario youth provincial level in Mississauga Ontario, he still enjoys playing in recreational leagues in his spare time.